For more information on our hunts, accommodations, custom hunt pricing, itinerary, or gear lists please drop us a line. Thanks! You will be hearing from us shortly. I look forward to hearing how we can make your dream hunt a reality. 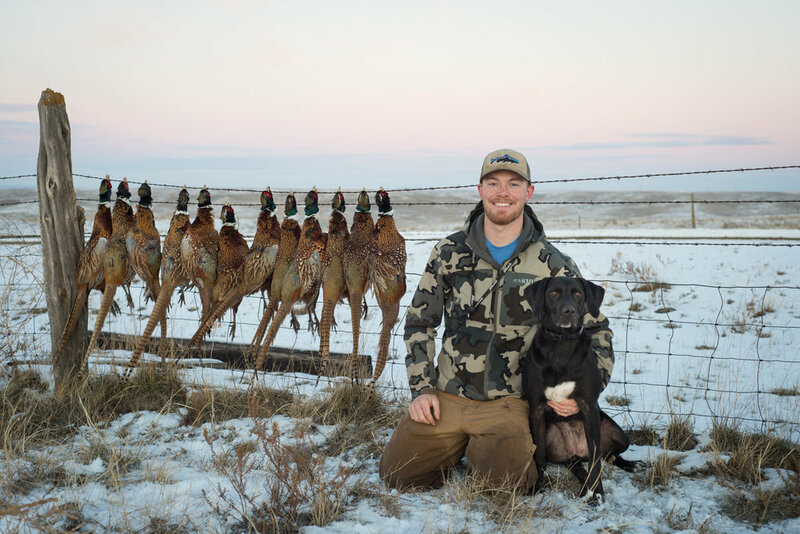 Fully and Semi-Guided hunting for Sharptail Grouse, Hungarian Partridge, Pheasant, and Sage Grouse on some of the best ground that Montana has to offer. We pride ourselves in being able to offer a unique hunting experience. The area that we hunt varies as greatly as the species we are after. We have access to river bottom country for pheasants, shortgrass prairies for sharptail grouse, and everything in between. We are not a one size fits all operation, we work with you to find the ground that best suites your style. We can accommodate hunters of any experience level. Whether you are a seasoned hunter who likes bringing their own dogs or this will be your first hunt, we have the place that is just right for you!